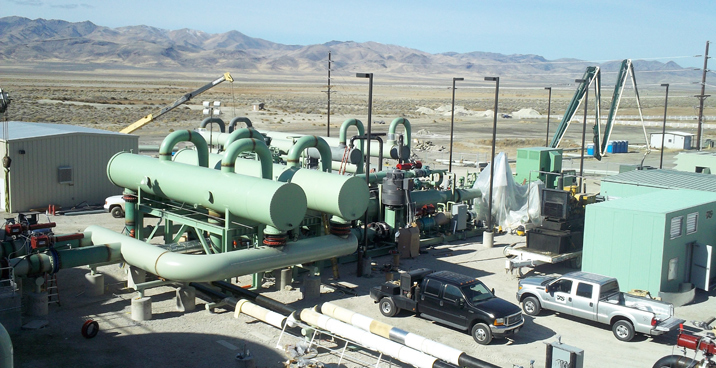 U.S. Geothermal Inc.’s San Emidio geothermal plant project encompassed the construction of a geothermal power plant in two stages. 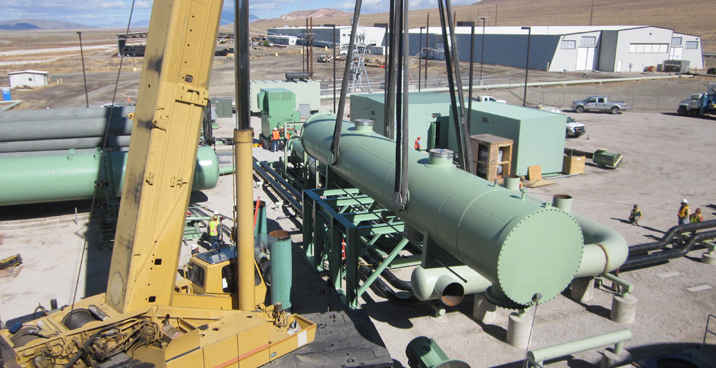 Phase 1 consisted of relocation and replacement of an existing power plant; no drilling was required because the new plant uses the production and injection wells previously used by the original power plant. 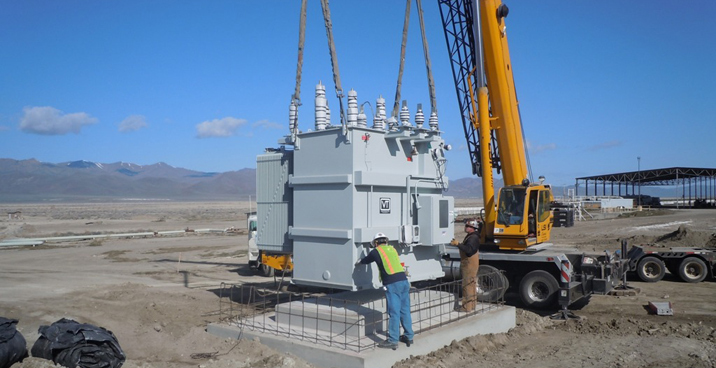 The new 11.5 megawatt (MW) plant has a net electrical output of between 9.1 and 8.1 MWs depending on seasonal and other variations, representing a significant increase in energy generation. “Our balance sheet and DesignBuild experience made an otherwise nonstarter project a reality for our customer." 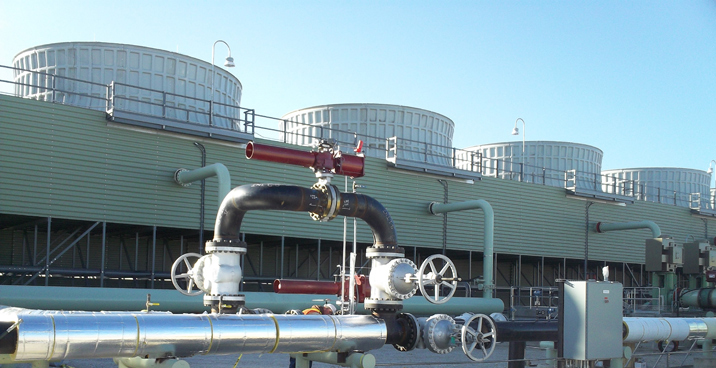 The heart of the geothermal system uses a closed loop turbo-expander that separates the geothermal fluid used to vaporize the working fluid that drives the turbine/generator, resulting in an environmentally friendly power cycle. The geothermal fluid, called brine, is pumped from a naturally occurring underground source and is then used to heat and expand the working fluid and reinjected once the heat is harvested. The expansion of the working fluid is used to turn the turbine/generator set and produce clean, renewable power. The facility uses a clean, renewable source of naturally occurring high-temperature water to generate power with zero emission. 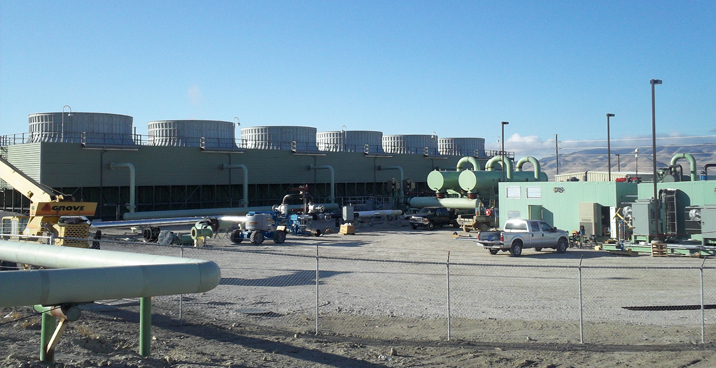 Benham was in a unique position to provide U.S. Geothermal Inc. with a single point of contact for the design, construction, technical, and financial resources required to deliver the project. The capability of Benham to offer the project delivery package was instrumental in helping the customer move forward on the project.